Home » Events and Blogs » Blog » SALE : $99 Unlimited Yoga for a Month + Only $9.99 to treat a friend to the same deal! SALE : $99 Unlimited Yoga for a Month + Only $9.99 to treat a friend to the same deal! Have you or a friend been thinking about kicking off your yoga journey? Now is the time to start with this offer! 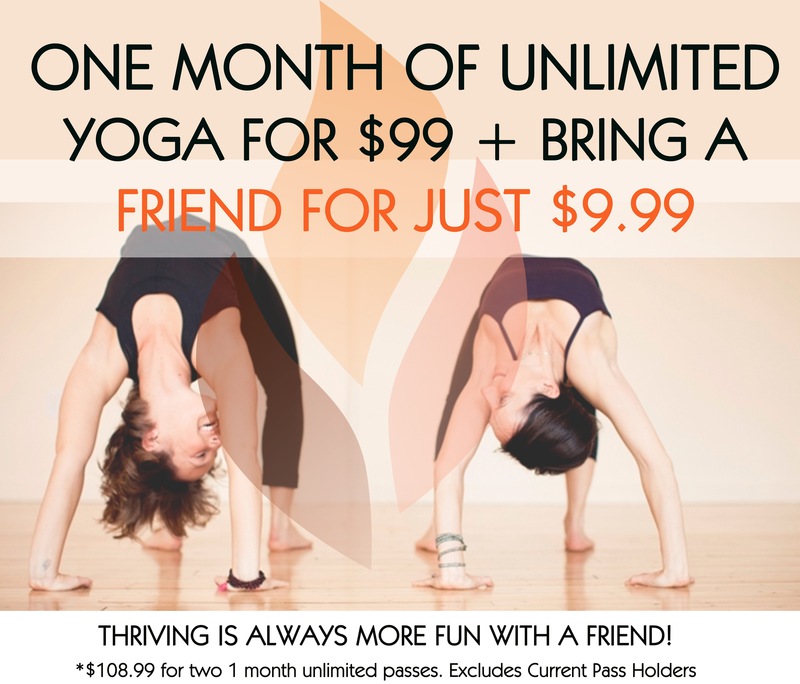 Buy an unlimited monthly yoga pass for just $99.00 and treat your friend to the same for an additional $9.99. That’s just $108.99 for 2 x unlimited monthly passes. Available to purchase at our Browns Plains or Jindalee yoga studios. Also available to purchase online. Please click the link below, select ‘classes’ and choose the first promotion.